It was always going to be a gamble. It was always going to be an adventure. The idea was simple; I’d sail a big catamaran with a crew of surfers, including two of the best UK juniors from the DC Team. 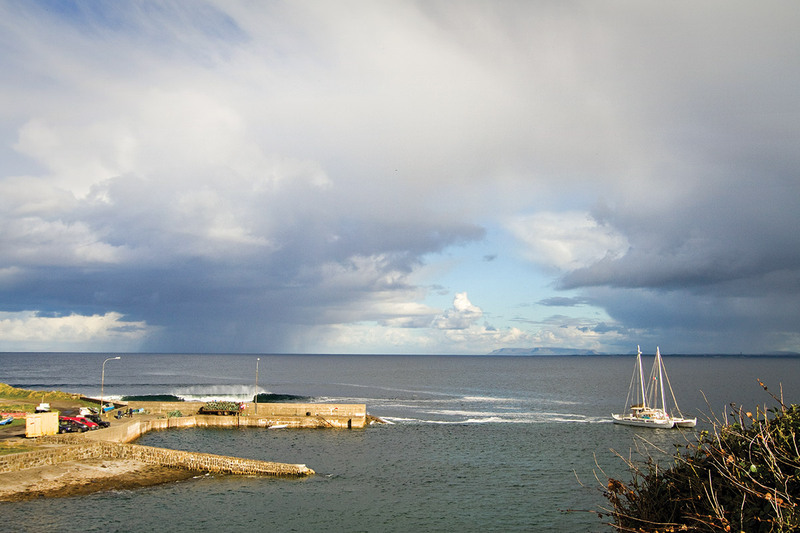 A classic boat trip to score perfect waves… in Ireland… in October. It was always going to be a gamble. It was always going to be an adventure. I’ve been watching Jobe Harriss and Luke Dillon surfing since they were young groms, because they compete at the top of their game in the UK. My son, Taz, has been coming out to Ireland for years so I knew he’d be comfortable, but I was really excited to see the other boys letting go in decent waves. So often comps in the UK are held in less than ideal conditions – this was an opportunity to see these lads surfing on the sorts of waves that really give them a chance to show what they can do. They didn’t disappoint of course. It’s amazing to see the level these youngsters are surfing at now- the standards are going up every year. The other thing I was super impressed by was how well the lads adapted to life at sea. 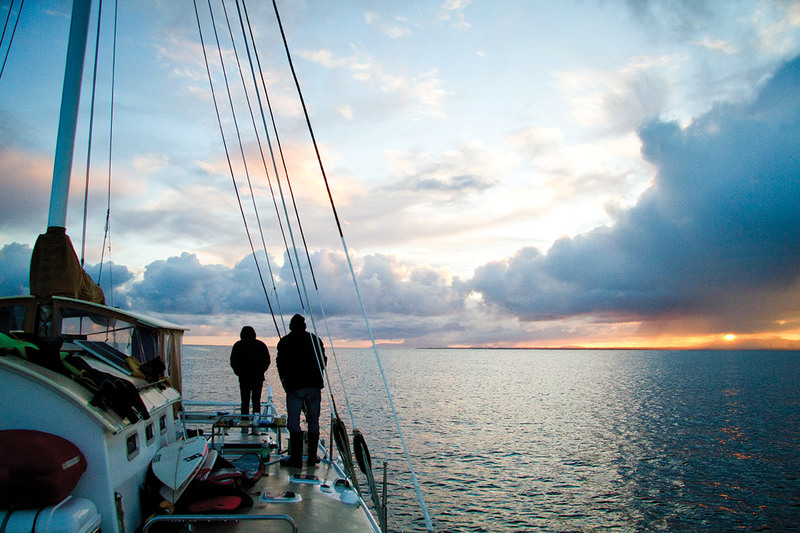 Being a good surfer is one thing, but being a good crew member and sailor is another. When everyone is living in a confined space, when it’s wet, and cold; when you’re feeling a bit queasy and sleep patterns are disrupted – when there’s no place to dry anything properly so you are permanently damp – all these things push people outside their comfort zone a bit. It’s so important to be mellow and considerate of your fellow crew members in those conditions, and not everyone has the character to adapt well to that. Perhaps surfers naturally adapt; maybe a lifetime of changing into wet wetsuits in cold car-parks, and getting worked in freezing surf prepares you well for dealing with life at sea – either way all the boys were class acts throughout the trip and a real pleasure to be with. We had a great week – I can’t remember the last time I laughed so hard. Between surfs there was a running card game on board which the younger lads beat us older guys at all the time. Mikey Corker especially seemed to end up at the bottom of the heap more than anyone else and after a while it just got ridiculous – it was like a public flogging – except the more he got flogged the harder we all laughed. It was really cool to hang with Pete Fleming too. He’s a great photographer, has had a bunch of amazing shots published. 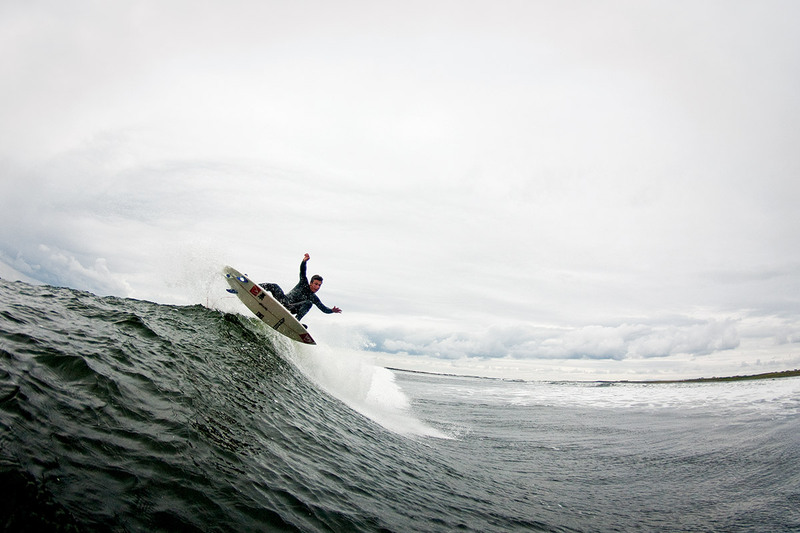 It’s a special breed though – the guys who are used to shooting in the sorts of conditions they get out on these wild coastlines are a step closer to crazy than the rest of us. Watching surfers paddling into some of these waves is heavy enough, but swimming around for hours in the impact zone is just screw-loose stuff. Even shooting from the land can be pretty heavy in this part of the world. Standing for hours in horizontal rain waiting for a five minute ray of sunshine to grab the shot is just another day at the office. Pete takes it all in his stride, with classic good humour and a quiet, confident patience. Perhaps that’s shaped by the knowledge that sometimes you have to wait – sometimes for a long time – but then it gets good. On the first day when the lads arrived at the boat, we had it good. The sun was out, there was barely any wind and the waves were pumping at a little left slab. We scored it all to ourselves right up until dark and I don’t think anyone could keep a smile off their faces. 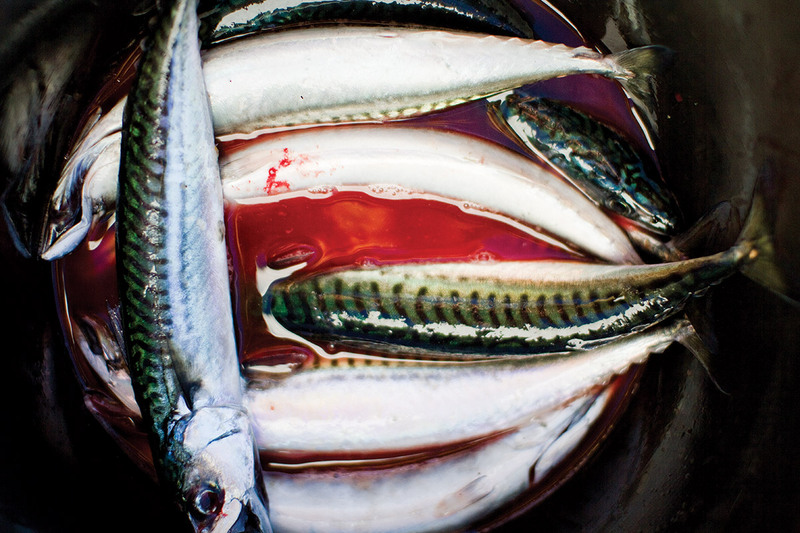 With the boat anchored just 20 metres from the channel, and with stomachs full of the freshest fish caught off the side of the boat and slung straight under the grill, this was how I’d always imagined it would be. However, in the days that followed, Mother Nature gave us less of an easy ride. 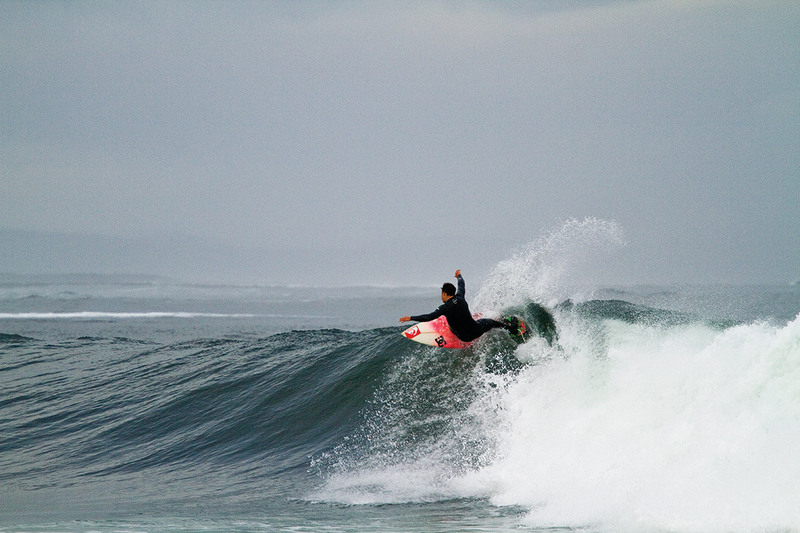 But hey, this isn’t Indo – this is Ireland. There’s no easy navigation in this part of the world. The water is dark, so you can’t see the rocks, and the charts were surveyed two centuries before satellites were even thought of – so there’s a ton of uncertainty. Throw in rapidly changing weather, difficult anchorages and strong tides – it all makes for a challenging task for sailors. On top of that you are operating in the surf zone, which is normally the bit you try to avoid on a boat, so we had our fair share of middle of the night adventures! But that’s all part of the experience – having to work a bit harder to find those waves definitely adds to the stoke when you score. This article was originally published in Wavelength Issue 222. Photos Pete Fleming.